What are the Best Muay Thai Brands? 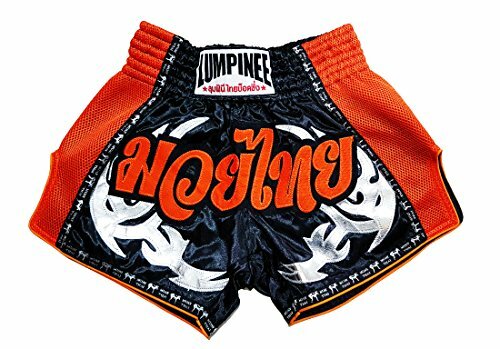 Is the Best Muay Thai Gear from Thailand? I know how much of a struggle it can be to find quality Muay Thai gear online. I have personally been persuaded into buying a product from deceiving online reviews once or twice. Whenever you’re investing money into a product, you want to know that it’s the best available in your budget. I’m not going to pretend like I’m some ‘know-it-all’ who has the answers to all of your Muay Thai gear and equipment questions. I do however have years of experience dealing with good and bad gear and equipment. This type of experience has given me the ability to steer you in the right direction when it comes to buying the very best Muay Thai products available today. First things first, many people will recommend against buying things online, I disagree with those people. Buying online gives you much more options to choose from. More options means that you also have a better ability to find the perfect pair of gloves, the perfect set of shin guards, the perfect mouthpiece, and so on. Not only do you have more options, you’re also able to find much better deals online. Although it’s great to support small businesses (which I do every chance I get), it’s also completely ridiculous to pay almost double in-store than online. Training gear and equipment products are all marked up to ridiculous costs, which is why you see training gear and equipment selling online for much less than in-store. With Amazon’s amazing return policy, I rarely stress when making a big purchase nowadays. 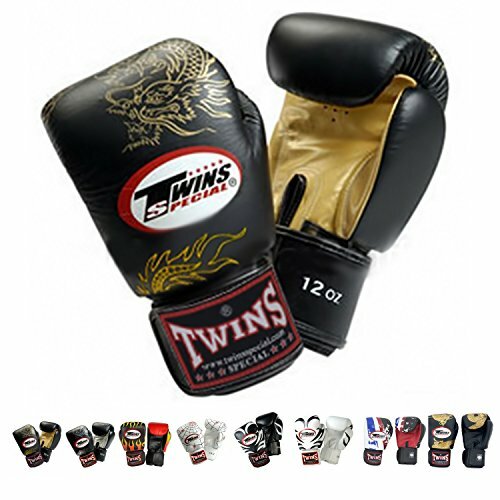 Brands like Twins, Fairtex, and Yokkao all sell directly to their customers online now. This is an argument for another day, however there are some Muay Thai brands that stand out above the rest. When you think of Muay Thai equipment and gear, you probably also think of brands such as Twins Special, Fairtex, Yokkao, Top King, and even Venum. These brands are not only known for their quality Muay Thai gear, they’re also known for producing all of their gear directly in Thailand (home of Muay Thai). Many Muay Thai fighters consider Fairtex to be the ‘rolls royce’ of Muay Thai gear, while others will swear that Twins Special is the best around. It’s all opinion based, every brand we include on here is 100% top of the line Muay Thai gear and equipment. Some people love Venum, while others won’t touch their products, it’s just the way things are. The same goes for sodas such as Pepsi or Coke, some people just like a certain taste more (coke is better by the way). If you asked me this same question 5 years ago I would’ve answered: Yes, Muay Thai equipment is better when it’s made in Thailand. However with the amazing growth of the sport, I believe there are companies now outside of Thailand who make quality Muay Thai gear as well. Don’t get me wrong, if you want authentic Muay Thai equipment then by all means buy from companies who produce their products directly in Thailand! This is not to sway you away from authentic Muay Thai gear by any means. I’m just trying to make a point, brands such as Hayabusa and even some boxing brands make great Muay Thai gear outside of Thailand. This is another opinion based answer, some people will only buy Muay Thai gear made from Thailand, while others aren’t so loyal to authentic made gear. I will say that I’ve personally used boxing gear like Cleto Reyes for my Muay Thai training and I completely love it. I also own gloves that are made by both Twins Special and Fairtex and use them occasionally depending on the type of training I’ll be doing that day. When I’m hitting pads I usually like to wear my Twins gloves, when I’m sparring I wear Fairtex, it all depends on how you like to use the gloves. When it comes to searching for the best pair of Muay Thai gloves for yourself, you have to consider what you’re specifically looking for in a boxing glove. Some of you are searching for good heavy bag gloves, while others are searching for sparring gloves. However, the majority of you are looking for Muay Thai gloves that are an ‘all-in-one’ boxing glove. We will be talking about the best boxing gloves for Muay Thai in this guide. 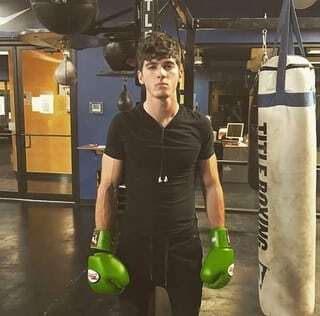 My first pair of gloves were Twins Special and they did great for all around training, this includes: hitting the heavy bag, hitting pads, and even sparring. However, I recommend that you practice good sparring etiquette and wear bigger gloves (16 ounce or heavier) so that your training partner won’t hate you. The Twins Special boxing gloves were my first set of gloves and did a fantastic job as a ‘hybrid glove’. I used them for pads, bag work, and even sparring sessions. Twins Special are probably my favorite gloves on this list, however I do also love the Fairtex and Yokkao pairs we show as well. It’s no secret that Twins has been a staple in the Muay Thai game for years, they don’t plan on going away anytime soon. Top King is another traditional Muay Thai brand that many people either love or hate. They are much bulkier when compared to the Fairtex and Twins boxing gloves. Top King gloves come in many different designs to choose from so that you can find the perfect pair. Made of premium leather, I promise you that these are some of the most durable gloves on this list. Not only do they have extra padding to secure your hand and your wrist, but they also include multi-layered shock absorbent for extra protection. I personally have never owned a pair of Top King boxing gloves, however, I have tried them on at the gym and they felt a little big on my hands (I have medium sized hands). If you’re someone who loves a bulkier glove that you want to break in then Top King boxing gloves are for you. Rest in mind knowing that Top King is one of the most historic brands in Thailand, they create some of the best Muay Thai equipment and gear. Top King makes some of the best Muay Thai boxing gloves. I want to start this out by saying I always recommend that any fighter, no matter if you’re a professional or a beginner, should wear hand wraps at all times. The reason I say this is that professional fighters punch very hard and beginner fighters usually punch without much technique. Both of these can be easy ways to break a hand/wrist if you’re not properly protecting your hands while training. I wrote an entire article that compares all types of hand wraps for Boxing, MMA, and Muay Thai. In traditional Muay Thai it’s very common for your palms to constantly be facing your opponent to block their strikes, this is obviously a danger for a hand injury. Not only is blocking punches dangerous, but punching the heavy bag, Thai pads, and focus mitts are all ways that you can injure your hands if they’re not properly protected. Now that I’ve convinced you to buy hand wraps, let’s talk about the ones you should buy. These are the best Hand Wraps for Muay Thai. Fairtex makes nearly every type of gear and equipment you can think about that can be used for training Muay Thai. 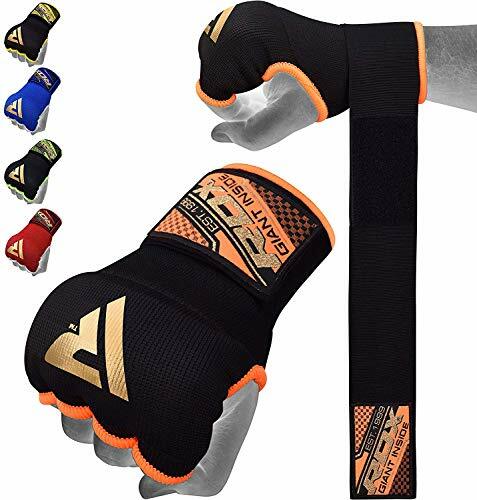 These hand wraps are great and they come at a great value. I always practice good treatment of my hand wraps, which means I wash them after a few uses. Some people wash them after every use, I try to preserve water so I only wash them once every week. These hand wraps are great because they’re very lightweight and seem to be durable (I’ve owned them for years). 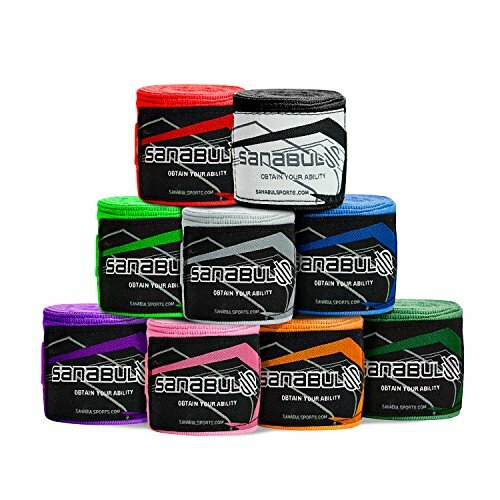 Sanabul is another affordable brand that produces good hand wraps. They have a good amount of colors to choose from as well, so you could possibly wear a different style of hand wrap for every day of the week. I wouldn’t say that the Fairtex version is much better than the Sanabul hand wraps. I notice a difference in quality in material between them, but both of them have served me well. The last hand wraps I’ll talk about are the RDX inner-glove hand wraps. These are great for those quick training sessions when you don’t have the time to put on traditional hand wraps. These should never be used as a primary hand wrap because they don’t offer nearly the same quality and protection that traditional hand wraps offer. I have never owned inner hand wraps however I see people all over my gym with them on and they seem to enjoy wearing them. Before we show you our Muay Thai shin guard recommendations, it’s helpful to know the different variety of shin guards that you’ll have to choose from when purchasing shin guards for Muay Thai. Rarely will you find the perfect pair of shin guards that meet your every need the very first time you buy, however, we will give you a leg-up with our helpful buying tips. We also have a more detailed Muay Thai shin guard buying guide if you prefer looking there. It’s safe to say that the heavier and bulkier the shin guard can be a direct indication of how much protection it offers. However, bulkier shin guards can also hinder your ability and freedom of motion when you kick. There will always be trade-offs and compromises when you purchase Muay Thai gear such as shin guards. You need to be able to find the perfect balance between protection and comfort. I was lucky enough to purchase a pair of Twins shin guards that were perfect for me, the right balance between protection and comfort. These are my favorite pair of shin guards on this list and I’ve personally used multiple pairs over my years of training. Everyone I train with loves these shin guards as well because the protection and padding benefit their bodies as well. I can’t say enough good things about these shin guards. They’re comfortable and super durable, the best thing about them is that you won’t have to readjust them a million times like other cheap shin guards. Twins Classic Shin Guards are designed to protect and enhance your lower legs and kicks. They feature a full in-step and heavy-duty foam padding for the most protection when blocking and executing kicks and low strikes. They are crafted to withstand the rigorous workouts of world-class fighters. These Shin Guards are made from 100% leather and have a double Velcro strap closure for a secure and comfortable fit. In addition, the Velcro closures allow for easy on and off access when moving between training genres. An elastic strap under the sole of the foot ensures full in-step protection and control. Twins Fight Gear sets the standard for stitching, functionality, and visual design. 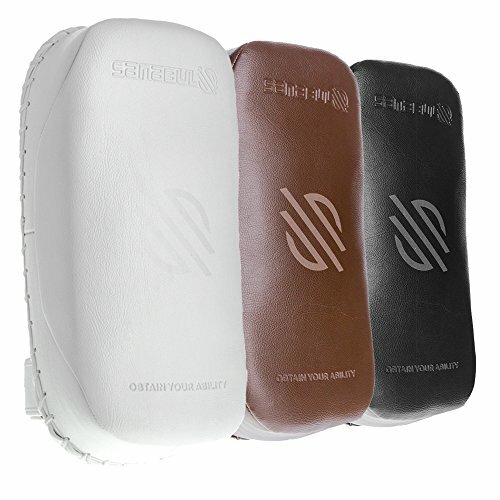 Twins shin protectors are made from premium leather and fine, high-density foam padding. Available in assorted colors to suit your personality. 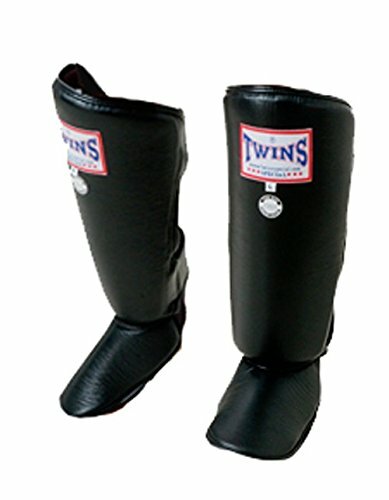 The Twins Special shin guards are one of the best shin guards for Muay Thai, Kickboxing, and MMA today. The Fairtex Competition Muay Thai Shinguards have been redesigned to eliminate all metal fixtures and rough edges. They are lightweight, durable, and provide complete protection for both the shin and instep. This complete redesign makes them perfect for both competition, training, and hard sparring. These shinguards are great for professionals, but even more forgiving for beginners. 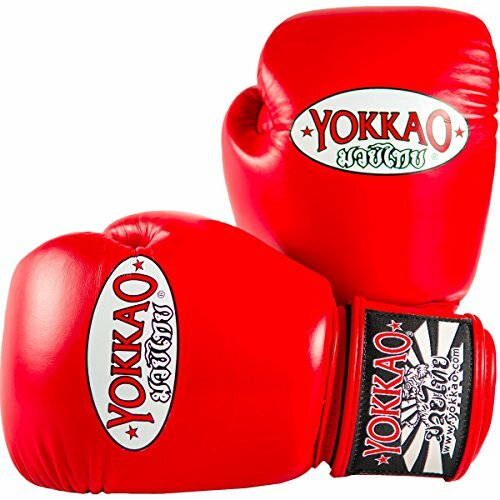 They are great for an aggressive training style, or for those hard sparring sessions. The Fairtex Muay Thai Shinguards include a hook and loop pull strap, which provides a secure fit with a durable synthetic leather shell. These shin guards are shock-absorbing and include a high-density foam core. Extended instep for greater foot protection. Handmade in Thailand so you know these shin guards are made with the highest quality materials. 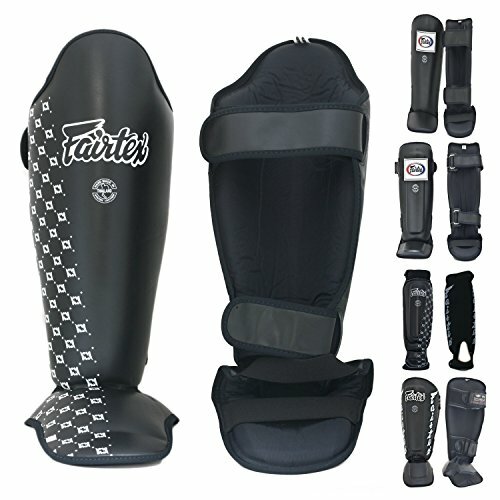 You really can’t go wrong with the Fairtex brand as most of you know, their shin guards live up to the Fairtex name. The Fairtex Shin Guards are one of the best shin guards for Muay Thai today. 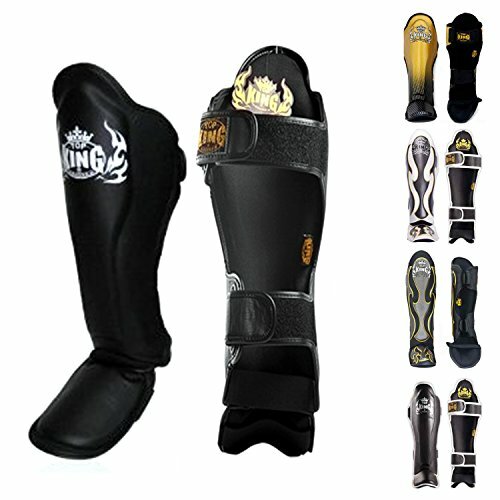 The Top King shin guards are one of the most traditional Muay Thai shin guards available today. They are made in Thailand with superior craftsmanship and authentic Muay Thai in mind. 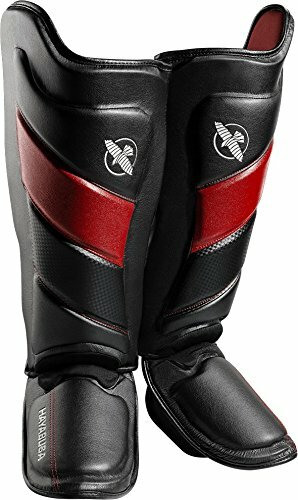 Specially designed with extra attention paid to the areas around the lower leg muscles and under the kneecaps to offer more protection than other shin guards. Hook and loop closure for a secure and comfortable fit. These shin guards are sure to turn heads with traditional Muay Thai designs that look great. The Top King shin guards are super comfortable and have a great look to them, you really can’t go wrong with Top King. The only downside to the Top King shin guards are that they can be expensive when compared to other shin guards on this list, however, they are well worth the price. Similar to the Twin Special shin guards, these may feel bulky at first, however, the extra protection is worth it. 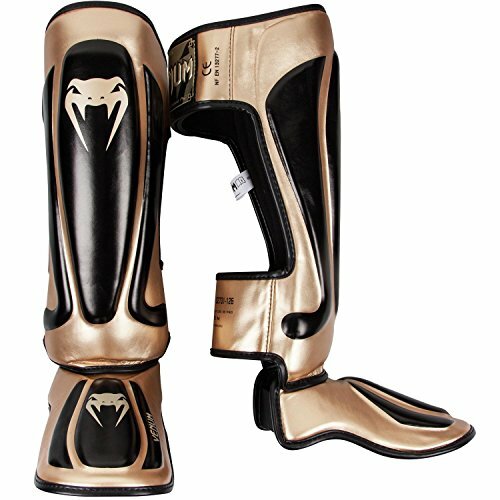 Top King always produces top Muay Thai gear and equipment which is why these are one of the best shin guards available. Handmade in Thailand with the highest quality material and conception, ‘Predator’ shin guards are the best Venum has to offer. Triple reinforced front panels, both on-shin and leg protection offers you supreme protection on impacts. The pre-curved design offers you the perfect fit: your comfort is better and your mobility is upgraded! 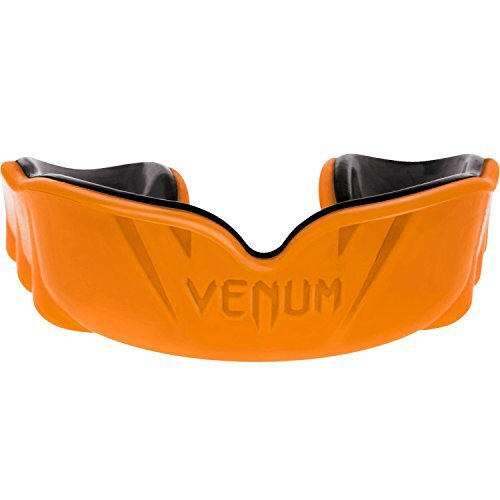 There are many professional fighters in the UFC that use Venum Predator shin guards during their preparations for fights. 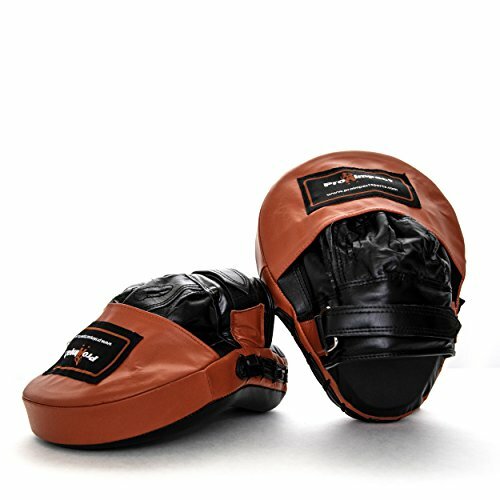 The innovative blend of Skintex and Buffalo leather offer great training and sparring experience. Velcro enclosure and high-density foam with additional padding across the shin and instep. I normally don’t recommend Venum shin guards, however, this pair does everything right and is one of the best shin guards for Muay Thai. The Hayabusa T3 shin guards are constructed with a flexible pre-curved design that stays in place no matter the intensity of training. Ergonomically aligned to contour the leg and knee, providing maximum shin protection and support with every block or strike. I would rate this shin guard higher, however, it’s expensive when compared to nearly every shin guard on this list. Not everyone will like the Hayabusa design, however, most will enjoy the extra protection these shin guards provide. The only downside is that they can feel slippery at the beginners (new product smell and feel). When it comes to Muay Thai shorts, it can be very confusing when looking at the size chart. The first pair of Muay Thai shorts I ever purchased were about 3 sizes too small. Walking into the Muay Thai gym with a big smile on my face while wearing colorful short shorts only to be laughed at by my Kru was quite embarrassing for me. Luckily I suffered through those embarrassing moments so that you don’t have to! I recommend owning a few pairs of Muay Thai shorts because they get dirty quickly. Believe it or not, Muay Thai shorts were built to be small so that you have the ability to move freely and kick higher. I know they can look and feel goofy at first, but I promise that once you wear them a few times you’ll never be able to train properly without them. I always recommend buying a few sizes up, or looking at a size chart and figuring out which size would work best for you. Remember, you can always roll a waistband up so they can fit, however you can never add length to shorts. If you want a more in-depth guide to Muay Thai shorts, visit our article on the Best Muay Thai Shorts. 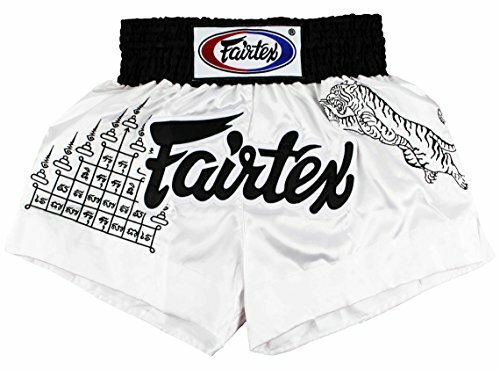 Fairtex is one of the most recognized brands in all of combat sports, their Muay Thai shorts live up to their high-quality name. We’ve talked so much about Fairtex that I’m starting to sound bias. However, I think everyone who trains Muay Thai can agree that their quality is nearly unmatched when it comes to Muay Thai gear and equipment. I originally purchased a few pairs of Fairtex shorts because I liked the designs on them, however, I grew to love how they felt on my body. Not only are they comfortable and allow you to move freely, but they’re also made of high-quality material. The reason I know they’re high quality is because they’ve lasted me hundreds of uses and still feel the same as they did when I first bought them. Fairtex makes some of the best Muay Thai shorts so don’t be afraid to try them out. Top King Muay Thai shorts have absolutely amazing reviews, however, you must be careful while sizing. Muay Thai shorts traditionally run very small as we’ve talked about earlier, so size your shorts with that in mind. The shorts themselves are great quality and have amazing designs. 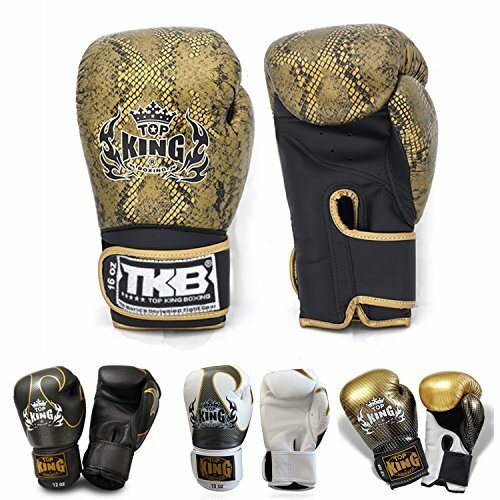 Top King is a staple in Muay Thai and has been a trusted brand for many years. I personally don’t own a pair of these shorts but many people in my gym wear them every single day. These shorts are used in many professional Muay Thai fights because of their high-quality design and comfort. Not only do they have over 20 design combinations to choose from, but they’ll also make you look like a proper Nak Muay (Thai fighter). 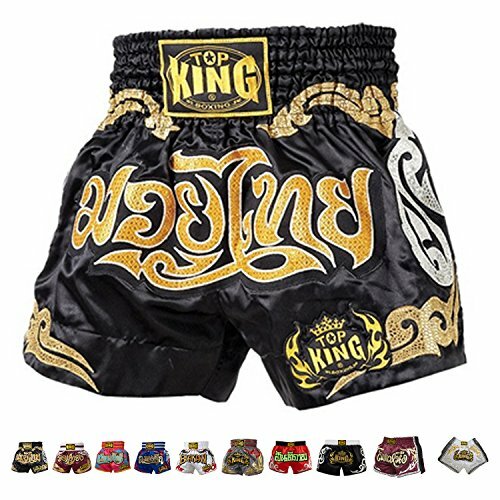 I’m going to be purchasing a few pairs of Thai shorts soon and Top King is at the top of my list. Top King is a Muay Thai brand that makes some of the best Muay Thai gear and equipment which is why I didn’t hesitate to recommend their shorts. You really thought we weren’t going to include Twins Special shorts on this list? Everyone who knows me also knows that I absolutely love Twins Special brand for all sorts of Muay Thai gear, the shorts aren’t an exception. They come in 15 different designs that are sure to spark your interest, I personally own the ‘red bull’ design and absolutely love them. These shorts are sure to turn many heads at the gym. I think Twins have the most unique shorts design on this list. They incorporate many western designs as well through their traditional Muay Thai short designs. My two favorite designs are the ‘no fear’ design and camo designs. If you love camo you’ll love the Twins Special Muay Thai short camo designs they offer. The only problem with these shorts is that they’re difficult to size, but as you’ve noticed already, all Muay Thai shorts are difficult to size if you’re not used to buying them online. Twins special has some of the best Muay Thai shorts available today. There are many factors one should consider when purchasing headgear for Muay Thai training. Personal preferences will always come into play while making choices. It’s completely fine to purchase headgear based off of looks, as long as it’s high-quality material and a reputable brand. We will be as thorough as possible so that you can find the perfect set of headgear for your intense Muay Thai training sessions. Headgear and other protective equipment is something you shouldn’t take lightly. Muay Thai training and sparring can be very dangerous when you’re thinking about concussion prevention and long-term health. We have a much more detailed headgear guide here if you want to look at more options. 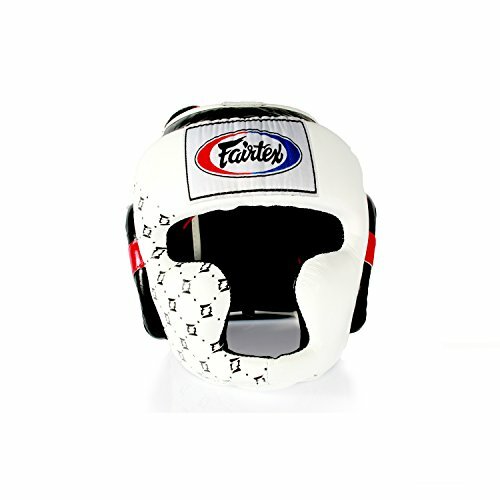 The thing that I love most about the Fairtex head guard is the peripheral vision that you get while staying protected. This headgear not only has an amazing design, but it also looks great on your head (while a majority of headgear just look stupid). The only downside I can think of is that this is an expensive headgear when compared to others on this list. However, I do value protection over nearly anything else, which is why I own this headgear and use it almost every sparring session. Another great thing about this headgear is that it fits snug enough that it won’t slip around on your head even when being hit hard. 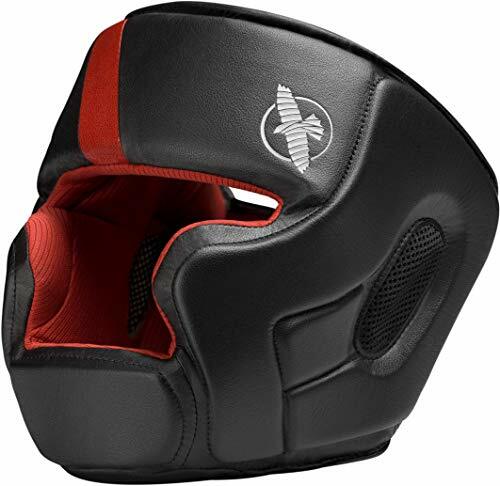 This is my go-to headgear for heavy sparring sessions because it’s an all-around great piece of Muay Thai equipment and protection. Fairtex once again lives up to their high-quality name in the Muay Thai game by offering the best headgear for Muay Thai, MMA, and Boxing. The Hayabusa T3 headgear is in a class of its own. The wide field of vision and low profile design maximizes strike deflection for added protection making this the best Muay Thai, MMA and Boxing headgear available. What I love most is the antimicrobial lining inhibits bacteria and will reduce unpleasant odors from occurring inside of this boxing headgear. In my opinion, this is the most stylish headgear on this list. I’ve personally used this headgear while sparring my brother at his gym and absolutely love it. Not only does it fit like a glove, but it also makes you look like a badass gladiator while wearing this headgear. Hayabusa really went above and beyond on this design, the visuals of the T3 headgear are second to none. You can see the high-quality craftsmanship while holding this headgear, the detail is absolutely stunning. Hayabusa makes some of the best Muay Thai gear and equipment and they didn’t disappoint with their headgear. I think Venum quality has substantially risen over the years through trial and error. At first, Venum was given a bad name because they were seen as the “flashy” brand. However, I believe more Muay Thai brands have realized that it’s okay to add unique designs and flashy colors to their products. 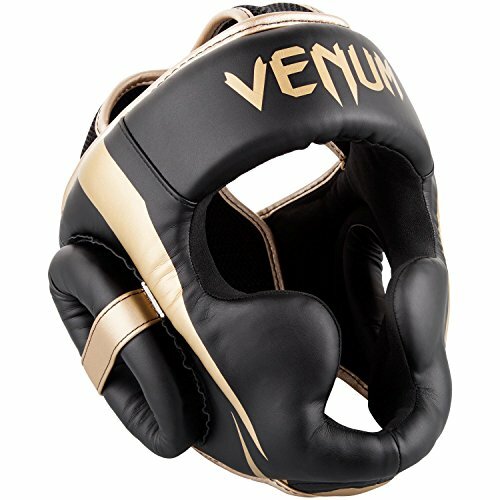 Venum Elite is the top quality Venum product and should be given a proper consideration when buying Muay Thai gear and equipment. When selecting a mouthguard for Muay Thai, fit and comfort should be at the top of your priority list. I can’t tell you how many times I’ve trained with people who wore a mouthguard that they bought the same day and didn’t even bother to boil it down to fit their mouths better. This is nearly the worst thing to do because your mouthguard won’t fit as intended. We have an entire article detailing what to look for in a mouthguard. It’s also important to note that mouth guards aren’t just for protecting your teeth, they also protect your entire jaw bone structure as well. Mouth guards have the ability of reducing concussions as well and lowering your chance of being knocked out. A well fit mouthguard will mold to your teeth almost perfectly so that it will stay in place. In any combat sport such as MMA, Muay Thai, or Boxing, it’s important that your mouthguard is a tight fit so that you can find the perfect balance of comfort and protection. The reason I personally use the Sisu mouthguard is because it’s much more breathable than other mouth guards on this list. It doesn’t feel bulky or clunky in your mouth, and you can properly breathe while wearing it. Not only can you breathe well during those intense sparring sessions, but you can even talk clearly with the Sisu mouthguard in. This mouthguard is a boil-and-bite mouthguard which means you’ll have to boil it in hot water to get a proper fit. This is my favorite mouthguard and the best mouth guard for Muay Thai, MMA, Jiu Jitsu, and Boxing. 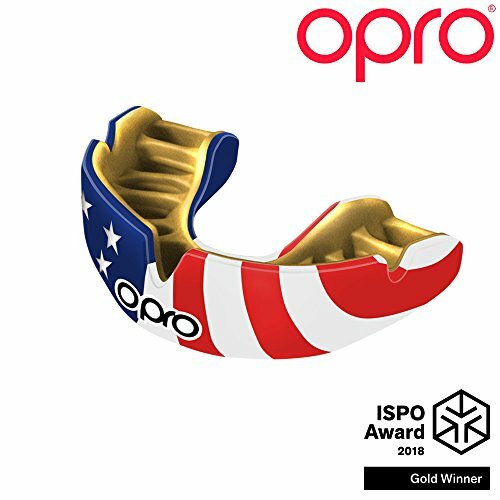 Introducing the OPRO Power-fit Mouthguard, the most comfortable and retentive self-fit mouthguard in the world. Unlike other traditional boil & bite mouth guards, the Power-Fit comes with the Power-Cage, and this is an integral part of the Power-Fit. This is a 2-piece system that helps mold the gum shield to the contours of your teeth and gums. Traditional home fitted mouth guards rely on the pressure of you using your fingers to press over your teeth to shape the guard, but the Power-Cage does this for you alongside its contouring abilities. Using the Power-Cage applies ever pressure to your mouthguard during molding giving a tight and comfortable fit around your teeth and gums for amazing retention. The Opro is one of the best mouthguards for Muay Thai or any combat sports. 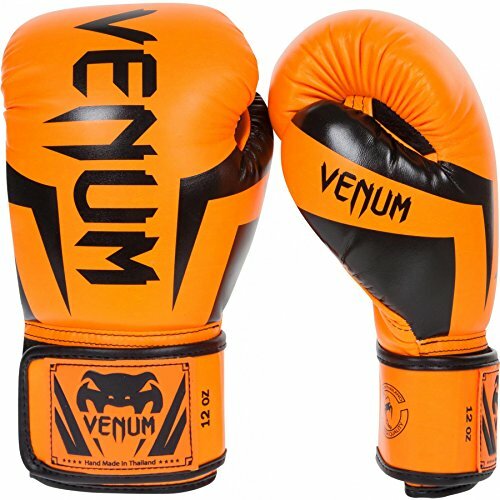 Venum is a quality brand that delivers their products directly from Thailand. I own this mouthguard and have 2 different designs of it because they are affordable. The only problem I’ve ever had with this mouthguard is that at times it’s difficult to breathe and talk with it in your mouth. 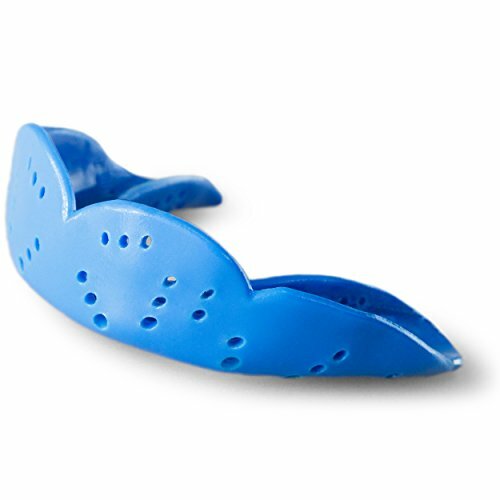 It’s a bulkier mouth guard, which also means it’s very durable and can withstand hard strikes to the mouth and jaw. Shock Doctor is well known in the mouthguard world for covering all types of sports, from Muay Thai to MMA. The Shock Doctor Gel Max comes with a $10,000 dental warranty for peace of mind. This mouthguard is super breathable and includes integrated breathing channels which make it easy to breathe and maximize performance. 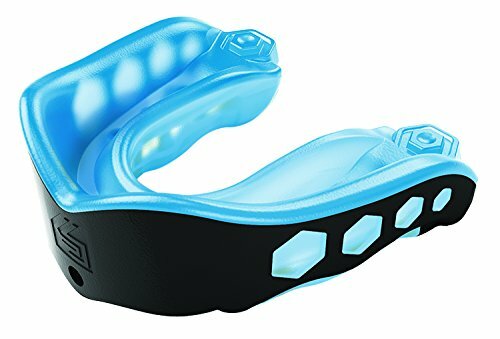 I see this as a mouth guard that is equally balanced between comfort and protection, giving you the best of both worlds. The protection is insane with heavy-duty Exoskeletal Shock Frame which provides incredible protection against even the hardest impacts. The new gel-fit liner is easy to fit and forms to teeth and gums, providing a comfortable fit for extended use. The great thing about this mouth guard is that it comes in sizes for both kids and adults. Shock Doctor is a reputable brand that makes quality mouth guards for Muay Thai and all sorts of contact sports. When you’re looking to buy training equipment for personal use, or even for a home gym, you want to know the training equipment you’re investing money in is going to be durable enough to last for years. In Muay Thai, things like Muay Thai pads, focus mitts, and even belly pads need to be made of quality material. When you’re shopping for a Muay Thai heavy bag, it’s important to buy a quality bag that’s not only durable but one that also fits with the flow of your training area. This isn’t only a necessity for comfort while training, but also it’s important for your training equipment to be durable considering you’re hitting it with powerful knees, elbows, kicks, and punches all day. It’s important to buy quality equipment at a reasonable price that will be comfortable for your budget as well. I spent a bunch of money on my MMA home gym (it was well worth it), however, I learned from trial and error of what brands to buy, and what brands to stay away from. 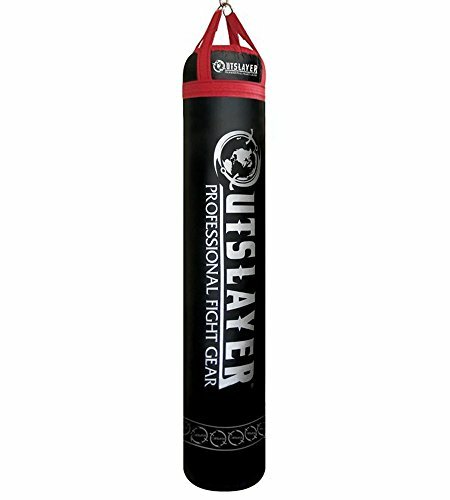 Outslayer is one of the most trusted brands in the fight equipment industry and their Muay Thai Heavy Bag lives up to the hype. 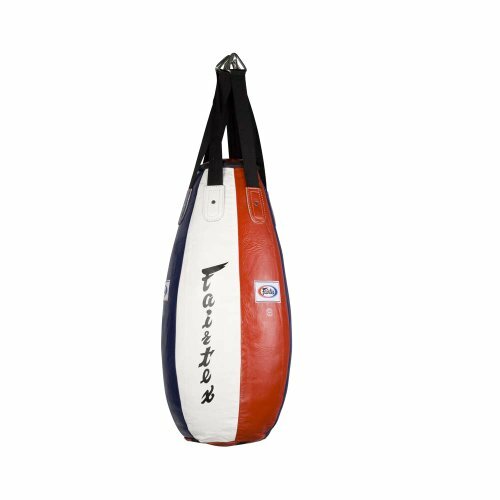 This heavy bag is an all-around tool that can be used for nearly all sorts of training: Muay Thai, Boxing, MMA, and more. It weighs 130 pounds filled and is an absolute beast, I’ve used hundreds of heavy bags and this is a top 5 bag in the comfort of my own home. I personally own this bag and absolutely love it. I have it in my home gym and use it nearly every training session at home. This bag is available filled or unfilled. The bag is 6 feet long, which means you can low kick, high kick, knee, all that fun stuff. It can be filled up to 300 pounds (if you choose to fill it yourself). I can’t recommend this heavy bag enough, it’s helped me improve my Muay Thai striking so much. 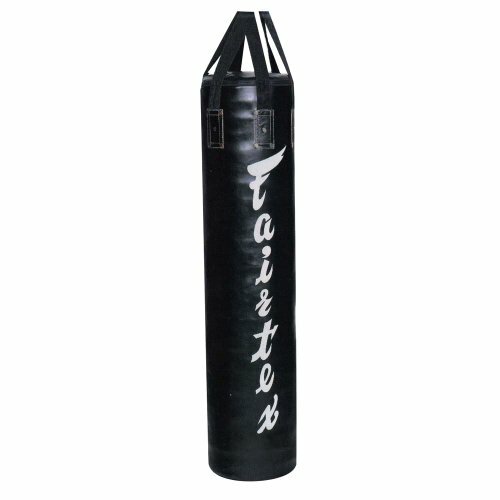 This is the best heavy bag for Muay Thai and many other combat sports. The banana style Muay Thai bag from Fairtex is great for developing foot jabs, front kicks and knee strikes. Handmade in Thailand so you know the quality is top of the line. I believe a banana bag is a necessity for any true Muay Thai practitioner, I have used this bag for many years and it never lets me down. If you’ve made it down this far then you know this statement is coming: Fairtex is one of the most trusted names in Muay Thai. If you were to go to Thailand you would see hundreds of these babies lines up getting worked on. I personally recommend filled because Fairtex does any amazing job of it. However, if you want to cut costs I would purchase the unfilled version! This bag was designed for people who are looking to work on their Muay Thai stand up (not involving low-kicks). This bag is amazing for elbows, knees, teeps, and even uppercuts and hooks. 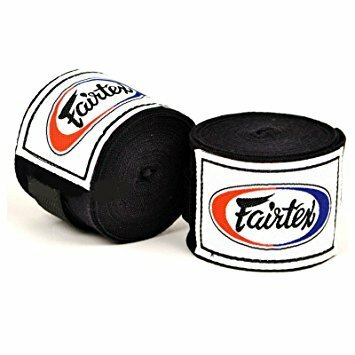 The Fairtex Teardrop bag is a great improvement to Muay Thai training sessions because it fills all the areas that traditional or banana heavy bags don’t cover. 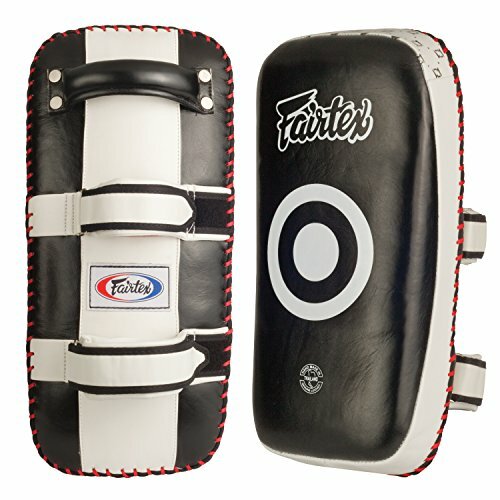 The Fairtex Teardrop heavy bag, in particular, is the best choice when it comes to teardrop heavy bags. It’s heavy and made of high-quality leather material which makes it super durable. This bag has very little swing and is perfect for building up strength in your strikes. This size and shape of the Fairtex teardrop is great for knees and kicking in addition to your punching combinations. This is the bag that I originally learned how to properly knee on and I’ll be forever grateful. This is one of the best heavy bags for Muay Thai because it allows you to learn how to properly knee. Thai pads are an essential piece of equipment that you need for authentic Muay Thai training. Most gyms have a supply of Thai pads that you can use, but it’s always good to have your own pair for training at home or on the go. When it comes to selecting Muay Thai pads it’s always best to choose something that fits you properly and is made of high quality. There are different sizes and styles of Thai pads available. It’s always best to do your own research and see what online reviews say about a product. For a more in-depth guide to the best Muay Thai pads, visit our Best Thai pads for Muay Thai and MMA article. These are the best Muay Thai kick pads hands down. 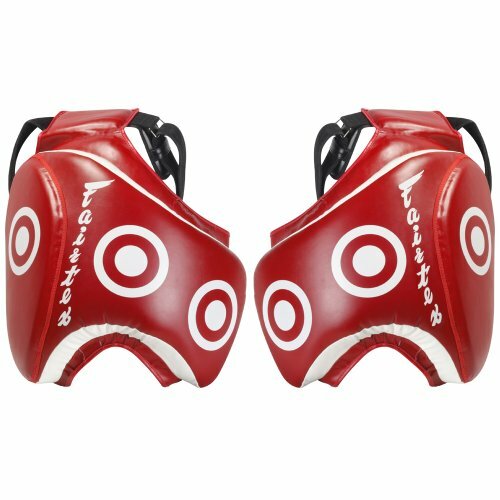 The only thing bad I can possibly say about these kick pads is that they’re expensive, however, the price-tag is well worth it. If you’ve ever used cheap kick pads you will know you can get that proper “SMACK” that you get from these Fairtex kick pads. I know I seem bias towards Fairtex but the truth is they simply make some of the best training products for Muay Thai fighters. The difference between these kick pads and other competitors is simply one thing: quality. Just looking at a picture of these Muay Thai pads don’t do them justice enough. The reinforced stitching is handcrafted and absolutely beautiful, the material is high quality, and the love put into each and every Thai pad is shown through the craftsmanship. If you can afford to purchase these Thai pads I highly recommend that you do, you won’t be disappointed. The Fairtex Thai pads are some of the best Thai pads for Muay Thai today. Sanabul Battle Forged Muay Thai Pads are unique among Thai pads because they combine low weight, high protection, and low cost. The lightweight of the Sanabul Battle Forged Muay Thai Pads (3 Lbs/pair) yields reduced trainer fatigue, especially for coaches who hold pads for multiple sessions in a day. This low weight is accomplished without sacrificing impact protection thanks to Sanabul’s San-Air ultra light impact foam. To top it off, all this functionality brought to you at a fantastic value. I highly recommend these Thai pads if you’re not willing to spend or can’t afford the more expensive Fairtex kick pads alternative. These pads are great for beginners as well and will last a good amount of time through hard training. I usually tend to stay away from Sanabul products, however, these Thai pads are an exception. The Sanabul Thai pads are inexpensive and great for Muay Thai. If you have any history with training boxing then you probably know what focus mitts are. Focus mitts are used to work on training boxing combinations and striking. Focus mitts are great for punching combinations, however, they aren’t so great for kicking, this is what Thai pads are for. It’s important to remember that focus mitts aren’t essential in Muay Thai training, however, they’re definitely a useful addition to have when working on your boxing (which is important, believe it or not). Focus mitts are great for Muay Thai training because boxing is something that is often overlooked. These focus mitts are ultra light for the pad holder, yet durable enough for hard strikes such as punches, elbows, and knees. I can’t say enough about Fairtex and their quality products. I love that these focus mitts are made directly in Thailand and tested by Muay Thai professionals so that amateurs like me can enjoy good quality products. If you’re in the market for Muay Thai hand mitts I highly recommend grabbing this pair of Fairtex mitts, they will last for many great training years. I could talk about the leather construct, the soft interior lining, the fact that these gloves have been tested and trained by professionals in Thailand, however, I think the Fairtex name speaks for itself. 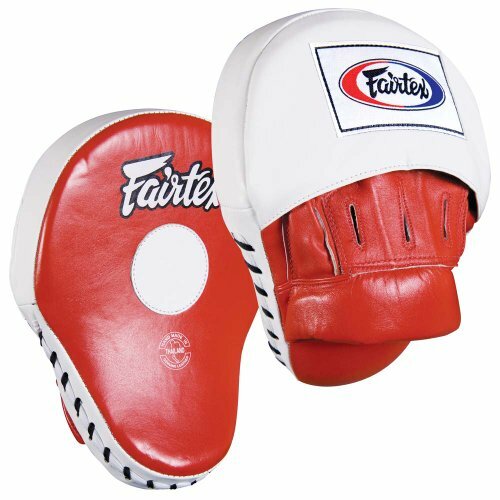 Fairtex stands out in both Muay Thai training gear and equipment, these are some of the best focus mitts available today. Constructed using the best durable and scratch-resistant leather available. These Pro Impact genuine leather curved focus mitts will provide long-term strength during vigorous workouts and continual use. 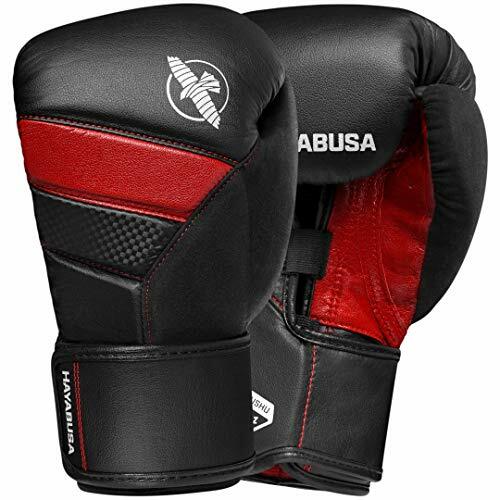 The curved design combined with the genuine leather provides a comfortable experience for the person who is wearing the mitts as well as the one who is punching them. I actually think these are a great alternative to the Fairtex focus mitts. These aren’t developed in Thailand, however they are made of quality material and have a sweat-resistant lining that is useful for mitt holders. If you don’t want to spend a fortune on focus mitts then these are the perfect pair for you, they really are a quality and affordable pair of Thai focus mitts that will be useful for punching, kneeing, and elbowing. Pro Impact makes some of the best focus mitts for Muay Thai and Boxing. Belly pads are used to help absorb some of the impacts from knee strikes, teeps, and even body punches. A good combination for trainers to have is Thai pads, a belly pad, and a thigh pad. Belly pads are for more advanced Muay Thai fighters. If you’re having trouble seeing improvements while training your teeps on a heavy bag then I highly recommend buying a Muay Thai belly pad. Nothing beats the real feel of teeping someone and seeing how their body reacts to your strike. This is exactly the type of belly pad that you need for your Muay Thai training. Belly pads offer protection from knees, teeps, and even that errant round kick that misses the Thai pads. 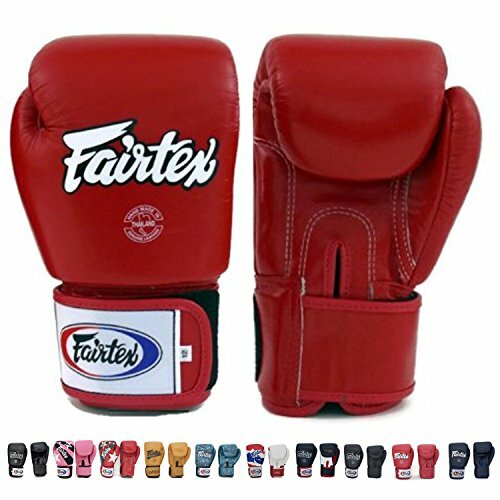 Fairtex is known to construct all of their equipment with the highest quality materials. 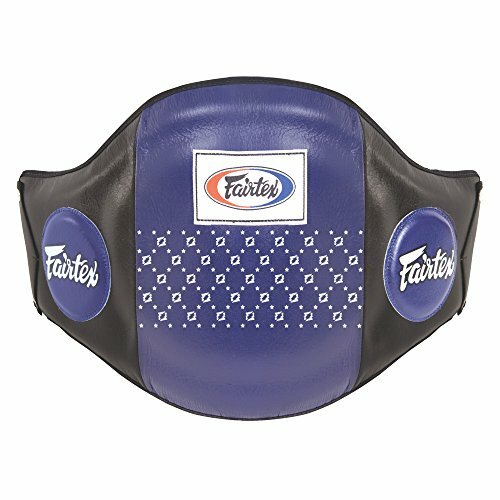 Fairtex training belly pad offers complete core protection, if you’re a coach or someone who teaches Muay Thai, I highly recommend this belly pad. This body protector is handmade in Thailand (as all Fairtex products are) with durable leather construction and a multi-layered foam padding system for extra protection. I highly recommend the Fairtex Belly Pad for more advanced Muay Thai training for you and your training partners. This is the best Muay Thai belly pad available today. 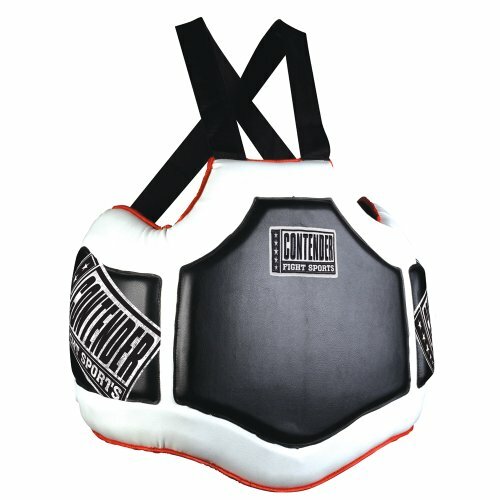 The Contender Fight Sports Heavy Hitter Body Protector allows both fighters and coaches to seamlessly incorporate body punches, knees, and teeps into mitt routines. Made of durable and easy to clean synthetic leather and heavy nylon straps with quick-release buckles to easily put on and take off. The Contender Fight Sports belly pad is a good alternative if you don’t want to spend a lot of money on the Fairtex version. I recommend the Contender if you’re a new Muay Thai practitioner that wants to practice your teeps and knees on a live partner without worrying about hurting them. The Contender belly pad is one of the best belly pads for Muay Thai. The new training item on the block is the thigh guard. I personally have used the thigh guard with great success in my training sessions. The biggest downside is that there are so many different designs and dimensions to the high guard that they’re normally an expensive piece of training equipment. I don’t think a thigh guard is completely necessary unless you’re a striking coach who wants to be fully equipped and protected for training sessions with professional fighters. Muay Thai thigh guards are great for fighters to feel what it’s like to kick a real leg without it being checked. If you’re an advanced Muay Thai fighter I highly suggest splitting the cost with a fellow training partner so that you both can improve your Muay Thai low kicks with a thigh guard. If you’re a Muay Thai Kru that has advanced students, I recommend buying a thigh guard to improve your training abilities. 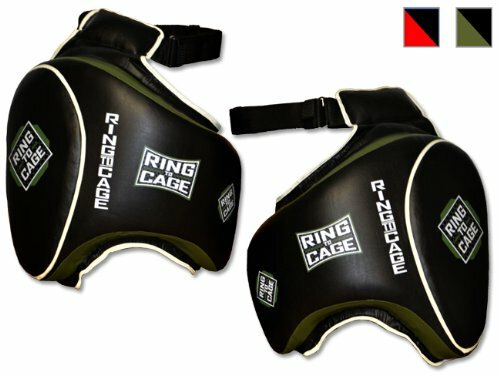 An excellent pair of thigh guards that are available on the market right now are the Ring To Cage Muay Thai thigh guards. These thigh guards are great protection for low kicks (inside and outside kicks for all trainers). Very well designed product with A full 3″ foam core padding to train heavy hitters. These thigh guards are light enough that they’re designed to allow mobility for sparring. The Ring to Cage thigh guards are molded foam which are specially curved to fit all leg sizes. These thigh guards offer protection over the entire front and outside part of the thigh. Multiple layers of shock absorbing foam padding with drimax (quick drying) material lining. A lace-up rear enclosure and a locking nylon Velcro strap (without plastic buckle) to ensure a secure fit for the trainer. I recommend the thigh guard if you’re a more advanced Muay Thai fighter or a Muay Thai trainer with advanced students. The Ring to Cage thigh guard is the best thigh guard for Muay Thai today. The Fairtex Thigh Pads are the newest innovation in training pad technology. The revolutionary design allows for low kicks at maximum force. A lace-up rear enclosure and a locking nylon waist strap ensure a secure fit by the wearer. Curved design allows for protection over the entire front and outside part of the thigh. A full 3″ foam core padding protects the user from even the hardest leg kicks. As always Fairtex is handmade in Thailand for the highest possible quality insurance. These thigh guards are one size fits all, and when I say that I mean that. I personally train with these exact thigh guards and they fit both me and my friend who has much bigger legs than I do. Like I’ve stated before, thigh guards aren’t a necessity for Muay Thai training, however, they do have their benefits. Well, it’s been a fun journey, I hope that you learned a thing or two about Muay Thai equipment and gear. I think that it’s always important when shopping online to weight the pros and cons of each product. Being able to see the reviews of other people that you can relate before purchasing a product can be very beneficial in this day and age. I hope that you use all of these online resources to your advantage so that you can find the perfect set of gloves, the perfect Thai pads, and whatever else that you need on your Martial Arts journey!